UniGreen Scheme want to help UK universities reduce waste, consume resources sustainably, and enable research organisations to thrive in an increasingly resource-constrained world. The brief for this project was to produce an animation for The University Of Birmingham’s Green Gown Awards. 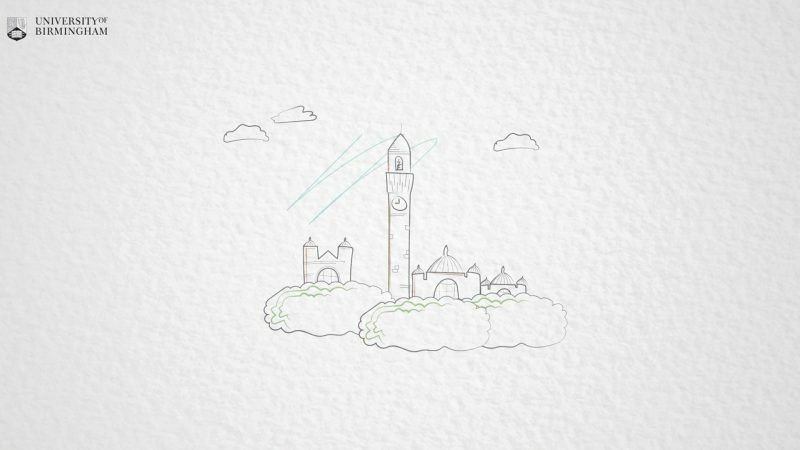 This animation would tell the story of how a student entrepreneur set up UniGreen Scheme and how much work The University of Birmingham have done in the past 12 months. We were contacted by The University of Birmingham wanting help with animation to tell their story. When we first received the brief, we knew straight away what style of animation was needed. We went with the bespoke hand-drawn approach. This has become very popular in the past few years; when we received the first initial script we created some visual style frames to send to the client for feedback. It was important to give the client style frames because they could be involved in the design process of the animation. This would also allow for a smoother and quicker feedback. Once the feedback was received we started to create the basics of the animation. We sourced a professional voiceover for the animation to narrate the project. We hired a female presenter to lead this script because of her friendly tone. The script would enhance the animation and showcase the pioneering work that The University of Birmingham has already completed. The challenge was to make an animation that was effective, slick and fit within the budget and timeframes. After a few initial changes we had the heart of the animation completed. The animation is now used on their website as a legacy video. This was also well received within the department and wider community.